On The WeCOACH Podcast, we sit down every two weeks with female coaches, experts and industry leaders in the world of sports. Our podcast features dynamic conversations, explores coaching insights and gender equity, and shares stories of courage and resilience to empower you on your coaching journey. This podcast is a co-production of WeCOACH and WiSP Sports. Season 1, Episode 13: Nicole M. LaVoi, Ph.D. 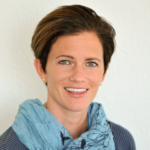 Episode 13 of The WeCOACH Podcast includes the trusted voice behind the research of why women coaches matter, Dr. Nicole M. LaVoi, Director of the Tucker Center for Research on Girls and Women in Sport. Dr. LaVoi shares how her research has fueled meaningful projects in hopes to initiate social change and opportunities for women coaches. 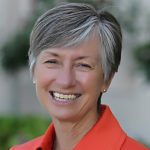 She lays the foundation behind the annual Women in College Coaching Report Card which is aimed at retaining and increasing the number of women in the coaching profession and takes us on a journey to understanding why the Athletic Administration Best Practices of Recruitment, Hiring and Retention of Female Collegiate Coaches is a crucial element in increasing the number of women coaches at the institutional level. You are sure to take away informed nuggets of inspiration and encouragement as a coach or as someone in a position to hire coaches. More show notes available. In Episode 12 of The WeCOACH Podcast, host Megan Kahn has the privilege of sitting down with former coach and administrator, and gender equity advocate, Marlene Bjornsrud. 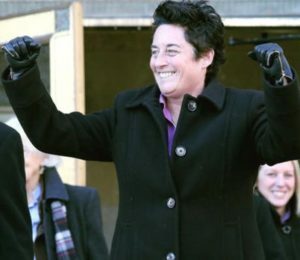 Marlene’s career has spanned more than 40-years in college, professional and non-profit settings, including working closely with Brandi Chastain and Julie Foudy to being a part of the launch of the Japanese Women Coaches Academy. Listen in as we dive into her career journey and how now, even in retirement, her deep-rooted passion for making a difference in sport and living out her purpose continues to fuel her. More show notes available. Episode 11 of The WeCOACH Podcast serves up an ace with AVCA Division I national coaches of the year, Heather Olmstead. 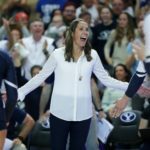 As the only woman coaching in this year’s Final Four, Heather’s level-headed and competitive approach led BYU to their first Final Four appearance. Listen in as she looks back on her coaching journey and offers some great advice for assistant coaches. With a candid approach, she shares last year’s incredible run, how the team was primed to perform at their best and to appreciate each win along the way. If you’ve never heard of Heather Olmstead, you will definitely know her now! More show notes available. In Episode 10 of The WeCOACH Podcast, host Megan Kahn gets an opportunity to go for the hat trick with one of the most successful ice hockey coaches of all time, Shannon Miller, talking coaching, leadership and gender equity. Recently, Shannon’s story has been heard around the world for her courageous Title IX legal battle. Listeners will appreciate Shannon’s take on authentic leadership and her continual innovation and creativity in the coaching box. Her story will inspire and empower women and fans alike with her courage and humility. More show notes available. In Episode 9 of The WeCOACH Podcast, host Megan Kahn gets an opportunity to talk with real-life wonder woman, Christina Unkel. 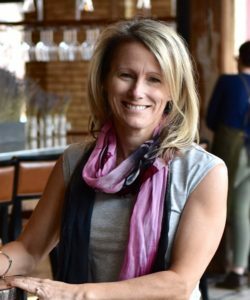 Christina is one of only three American women to hold a FIFA certification; she’s also a full-time attorney, a mother, and generously gives her time, talents, and passion to the world of women in sports. Her role as president-elect of the Women’s Sports Museum and founder of her own business, SPARQ Advocacy are just two of the reasons why Christina is inspiring and supporting the current and future generation of women in sports. More show notes available. Episode 8 of The WeCOACH Podcast takes a turn with national champion head softball coach, Lonni Alameda. 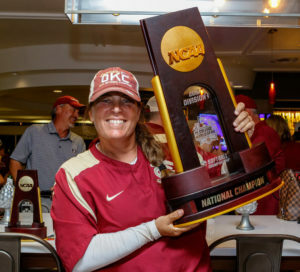 Lonni candidly gives us an inside look at the championship program she has built at Florida State and how she continues to sustain a high-level of success with her philosophy, core values and making the game FUN. This episode shows why Coach Alameda has become one of the top coaches in the game and how she is now leaving a legacy of lasting impact. More show notes available. Episode 7 takes on a new sport as WeCOACH executive director and host Megan Kahn dives in with 8-time national champion Felecia Mulkey. Felecia oozes passion for Acrobatics & Tumbling and gives us an in-depth look at the sport as a whole, it’s phenomenal growth at the collegiate level, and how female student-athletes and coaches are benefiting from the recent boom of the sport. 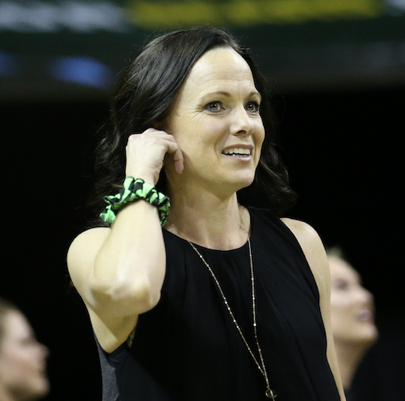 Listen in as Felecia shares light on her impressive run of success at University of Oregon and now Baylor, how she continually redefines success with her teams, and what it’s like to be part of the Bears senior administrative team. This episode is sure to offer insight and inspiration for anyone interested in women’s sports. More show notes available. Episode 6 of the WeCOACH Podcast challenges your communication skills when host Megan Kahn goes one-on-one with The Coaches’ Coach, Betsy Butterick. Betsy takes us behind the scenes having been mentored by two of the greatest minds and coaches in the game of basketball, Tara and Heidi VanDerveer and the lessons learned along the way that apply to life. 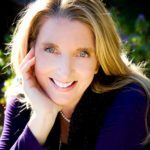 Tune in as Betsy shares her decision to step away from coaching and the gap she saw, which led to her becoming a communication specialist. She isn’t afraid to laugh at herself giving up some candid bloopers and more importantly how her creativity lends itself to helping corporations, coaches and teams reach their highest potential. More show notes available. Episode 5 of the WeCOACH Podcast welcomes life coach extraordinaire, Carlette Patterson. Founder of Patterson Sports Ventures and Sports Philanthropy League, Carlette oozes winning strategies for life. Host and WeCOACH executive director Megan Kahn leans in as Carlette offers insight on living a life in 3D (personally, professionally and philanthropically) and how to have more “10 moments” in your everyday being. Whether you are a CEO, a coach, a team, or just a weekend-warrior, Carlette is sure to inspire you to live your best self. More show notes available. Season 1, Episode 4: Cecile Reynaud, Ph.D. Episode 4 of the WeCOACH Podcast welcomes one of the greatest coaches and administrators in the game of volleyball, Dr. Cecile Reynaud. Host and WeCOACH executive director Megan Kahn has an opportunity to talk with Cecile about what her upcoming American Volleyball Coaches Association Hall of Fame inductions means, her most rewarding coaching moments and what it was really like coaching volleyball student-athlete and supermodel, Gabby Reece. 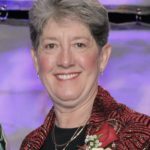 Listen in as Cecile candidly shares lessons learned, her desire to continue giving back to so many coaches and players through her involvement with USA Volleyball and sitting volleyball, and why she is so passionate about helping women coaches succeed in the profession. A true trailblazer for women in sports, Cecile is sure to transcend the sports world with her fun-loving personality. More show notes available. 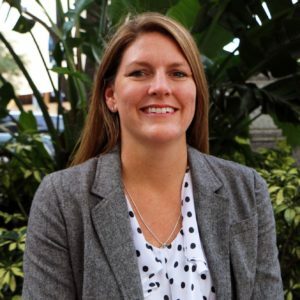 In episode 3 of the WeCOACH Podcast, executive director and host of the show, Megan Kahn, sits down with Claire Lessinger, director of special events for the Tampa Bay Sports Commission. Their dynamic conversation spans Claire’s playing career at the University of Florida (appearances in 3 NCAA Women’s Volleyball Final Fours and 5 SEC titles), what it was like to play for legendary Coach Mary Wise, taking over and rebuilding a program in her hometown, and now her important work in the Tampa Bay community. Tune in to hear how Claire is part of the team bringing major championship events to the city, why and how she’s engaging the women of Tampa Bay through sports and leadership, and what to expect for the upcoming NCAA Women’s Basketball Final Four and accompanying activities. No matter what sport you coach, or if you’re a fan, you’re sure to love Claire’s passion and enthusiasm for building community and leading from the heart. More show notes available. 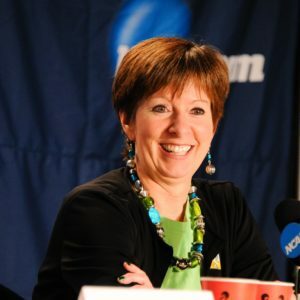 Episode 2 of the WeCOACH Podcast welcomes special guest, University of Notre Dame head women’s basketball coach Muffet McGraw – coming off their 2018 NCAA Women’s Basketball National Championship and preparing to tip-off the upcoming season. Host and WeCOACH executive director Megan Kahn digs in as Muffet shares perspective on how she celebrated this historical year both personally and professionally, lessons learned and rewarding moments in her career, and how she’s evolved as a coach and leader. Coach offers us a glimpse of a Notre Dame game day, the importance of championing women in the game, and how after 800 wins, she still has the drive and passion to keep going. This 30-minute episode is filled with insight, inspiration, laughter and so many nuggets of women’s empowerment. More show notes available. The WeCOACH Podcast aims for the fences with its first episode. Host and WeCOACH executive director Megan Kahn sits down with the uber talented coach, dynamic speaker, and impassioned leadership expert Sue Enquist. They discuss her storied 27-year coaching career for UCLA softball, her coaching tree, changes she’s witnessing in the coaching profession, and how she’s continually leaning in to provide education and support. 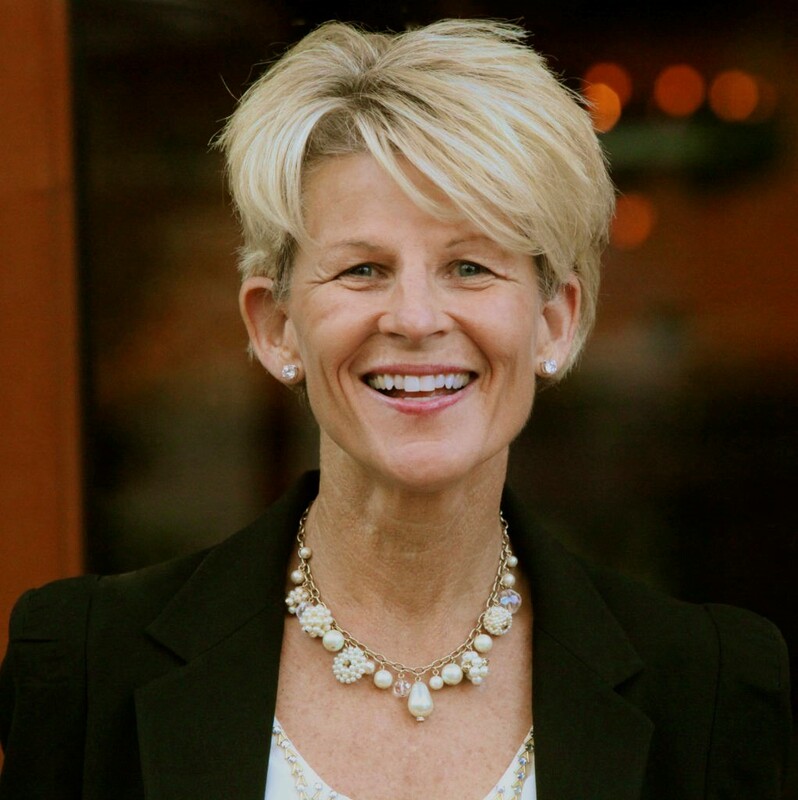 Sue candidly shares about what drives her now, including her new venture, ONE Softball. No matter what sport or level you coach, or if you’re a fan and follower of women’s sports, you’ll find insightful tidbits and takeaways to inspire you, ground you, and make you a better leader and teammate in work and in life! More show notes available. WeCOACH is a 501(c)(3) tax-exempt nonprofit organization (Federal Tax ID #20-0059540).